Many falsely believe that since you can now access industry information via the Internet that the days of the live meeting are gone. The truth is, meetings are more important than ever. 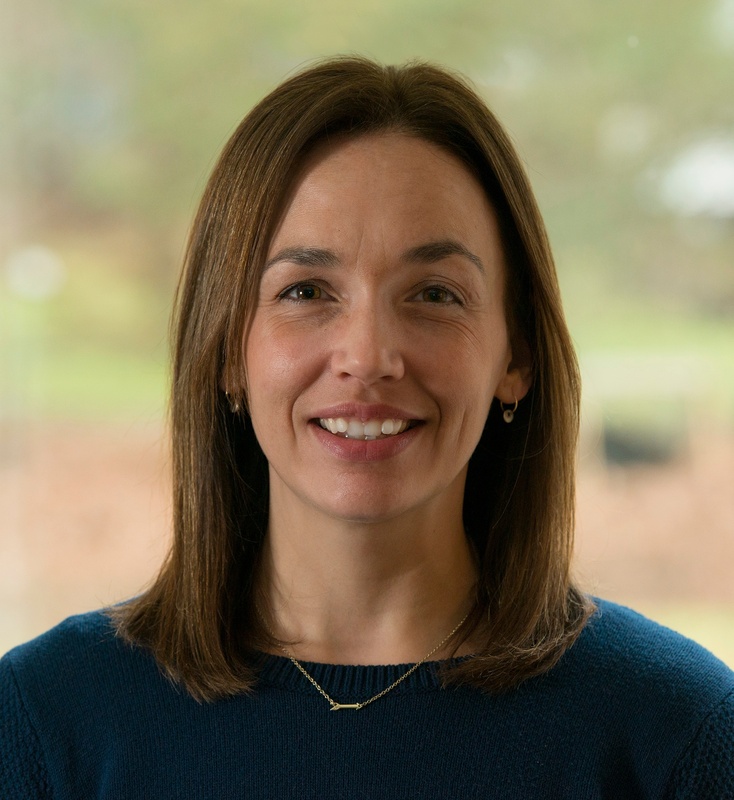 There is power in being connected to other educators like you who are active in both classroom education or perhaps in supporting the adoption of technology solutions into schools or districts. But it can also be easy to talk yourself out of committing to that annual conference year after year. Many educators think that joining the organization is enough, but in order to really capitalize on the return on your investment, you need to be engaged and participate in their annual conferences and trade shows. The value in meetings comes from the human-to-human connections that occur. People often cite the serendipitous “hallway conversations” that they have with other attendees as the most valuable parts of attending an event. While these are not on the agenda—or mentioned in the breakout session's learning objectives—when two or more people begin to discuss topics on a deeper and personal level, the success of the event to those involved becomes irreplaceable. It is the people that bring the ROI to your time at a conference. Of course, which conferences to attend can be a fairly daunting decision within education, right? 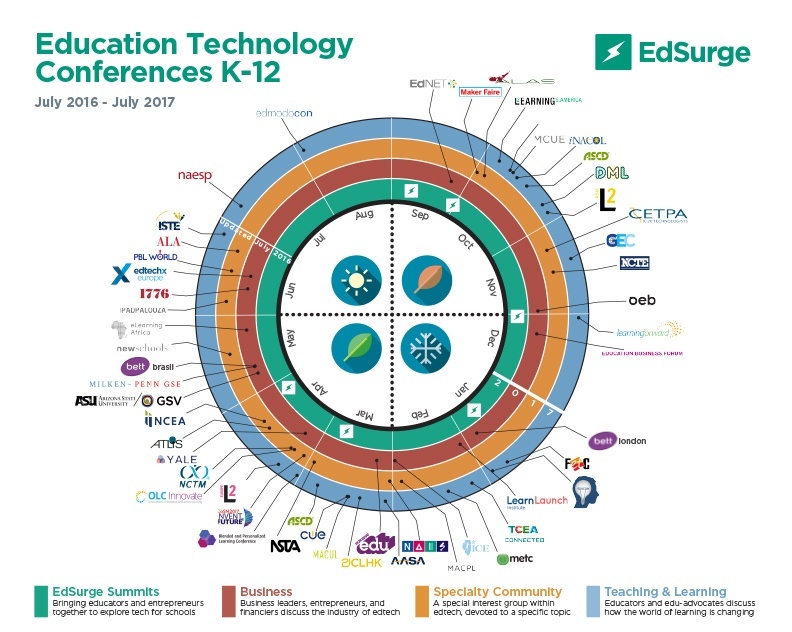 So to help, we thought we would once again share EdSurge’s K-12 Edtech Conferences you need to know for 2017. We Are All Students: No matter how experienced you are in your role as a teacher, technology specialist, or administrator, everyone can learn something new. Working in your classroom or district office can sometimes seem isolating, and without exposure to a variety of points of view, we can miss out on new ideas and trends that can impact future results. The educational aspect of a conference can expose you to new ways of teaching, as well as new technologies to help you discover how to be more productive, engaging, and drive student engagement. Networking Is Key: Industry conferences provide a great opportunity to network. Educators from other regions of the country can become valuable resources for best practices and testimonials on new technology offerings. Collaboration is the way to approach networking—helping each other uncover ideas and spark inspiration on a personal level. Gain a Competitive Edge: Too often, people shy away from the trade show exhibit hall at conferences. They fear that they will have to talk to salespeople, but these industry suppliers are some of the best people for you to get to know if you want to learn more about the current apps, platforms, and technology solutions available. Discovering innovative products and services for your classroom, school, or district is necessary to stay competitive in supporting the demands for student learning in today’s fast-paced world. Plus, vendors who sell to our industry—like Boxlight—fully grasp what is happening inside your classrooms. Invest time with the exhibitors at the event and turn them into your friends and allies. Have Fun: Being an educator should be rewarding and fun—all work and no play can get old fast! Industry conferences can add a layer of enjoyment to managing your career growth by mixing a social aspect into your learning. Many events have fun activities such as parties, golf, and tours of the local area where the event is hosted. Taking an extra day at the beginning or end of the trip to explore or visit friends in the region is also a great way to maximize the investment in travel. Never underestimate the power of a little fun mixed with interesting workshops lead by smart people and exhibits of the latest and greatest EdTech offerings! Do you have any other ideas or tips for attending conferences and trade show? Share them below!